A Full refund is given if cancellation is received up to one month before the class. A 75% refund is given if cancellation is received up to two weeks before the class. NO refund is given for cancellations received less than two weeks from the first class date. 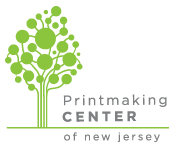 A full refund will be given if the class is cancelled by the Printmaking Center of NJ. IMPORTANT! You must click BOTH buttons. Please hit the black 'submit' button on this form and then click the PayPal Add to Cart selection to make your payment. It will remain below after you submit this form. Thank you!